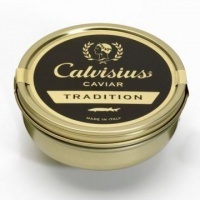 Calvisus Tradition originates from the White Sturgeon (transmontanus). Reared in Northern Italy in the worlds largest sustainable caviar farm, the eggs can be larger than 3mm in size and vary in colour from dark grey to black. 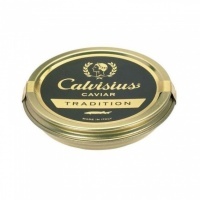 The flavour is particularly delicate and not unlike a Beluga. 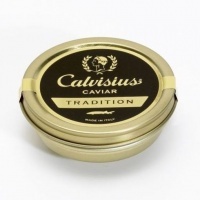 A most exceptional caviar. 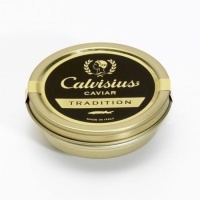 All our caviar is sent carefully packaged in a presentation gift box.